French-based guitarist Simba Baumgartner is preparing to release his new album titled "Les Yeux Noirs" on April 26th. Simba is the great-grandson of the legendary jazz guitarist Django Reinhardt, as Simba incorporates his great-grandfather's sound into his own music. Simba Baumgartner's new album begins with the up-tempo swing of "Blues Clair," as you are instantly draw into his classic sounding guitar work. The album continues with the ballad "Nuages" and the exciting energy of "All Of Me." The album was recorded with a group of musicians based out of New York City, led by fellow French guitarist Stephane Wrembel. Simba embraces the musical legacy of Django Reinhartdt with the nearly eight minute jazz band jam "Dark Eyes," while "September Song" delivers that nostalgic vibe that will bring you back to simpler times. He finishes his new album with the swinging rhythm of "I Can't Give You Anything But Love" and the playful guitar/clarinet duet of "Song D'automne." 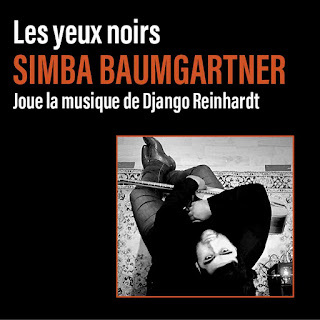 To find out more about Simba Baumgartner and his latest release "Les Yeux Noirs," please visit his Facebook page at facebook.com/simba.baumgartner. At 87 years old, local artist Willard Gayheart is known for his wonderful pencil drawings around Galax, Virginia. Willard also dabbled in music, performing as part of a local bluegrass band. 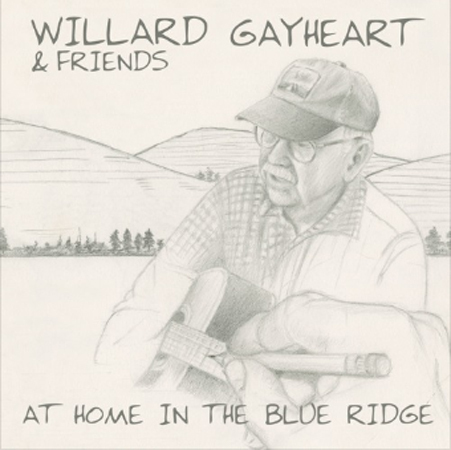 Now on May 24th, Willard Gayheart will be releasing his debut solo album titled "At Home In The Blue Ridge," with the help of his granddaughter Dori Freeman and her husband Nick Falk. Willard's new album features eleven tracks, beginning with the sweet, truthful strumming of "The Workin'," as you will simply adore his gentle vocals. He sings about what he knows best like "Appalachian Hills" and "Kentucky Memories," where he was born and raised. The playful, swinging tone of "Coney Island Washboard" and "Ern & Zorry's Sneakin' Bitin' Dog" are just a simply, classic sound that is almost unheard of with today's technology. Willard wraps up his new album with the sweet harmonies and beautiful tale of "The Salet Song." To find out more about Willard Gayheart and his latest release "At Home In The Blue Ridge," please visit willardgayheart.com. Country artist Pinto Bennett wanted to release one more album, as a cherry on top of his illustrious career. Drummer Jason Beek approached Bennett about the possibility of recording an album of some of his former songs, but Bennett noted that he's got "draws full of new songs" to record. So the two struck up a friendship that resulted in Pinto Bennett's latest studio album "The Last Saturday Night." It features ten songs, beginning with the early, country chords of "Don't Get Me Started." Bennett's aged vocals fit the words of the songs perfectly, as if he was gathered among friends, telling his tales of love and loss. Bennett can still belt out the energy of songs with the best of them as in "I Like Singin' The Blues In A Honky Tonk" and "Lady Wisdom," while also keeping that classic country vibe, as in "The Band Plays Songs I Wish I Could Forget." Pinto Bennett closes his new album with the swinging rhythm of "Crespo" and the wonderful eulogy of "Old Dog." 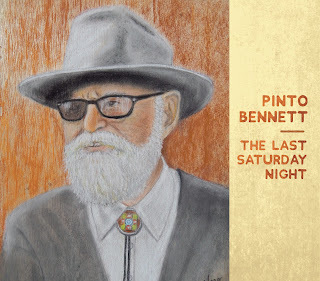 To find out more about Pinto Bennett and his latest release "The Last Saturday Night," please visit his Facebook page at facebook.com/pintobennettmusic.